Coworking spaces are typically an open office environment where entrepreneurs and other different business owners can work together in shared space. Members typically get access to an office setting, Internet connections and a community without signing a lease for their own office. 1628’s facilities are targeted at the mid-career professional looking for a more sophisticated location and could be a sub-contractor to one of Cincinnati’s many corporate headquarters. Located along Piatt Park at 11 Garfield Place and next door to Cafe Paris, it is centrally located just two blocks from Fountain Square, a Cincinnati Bell Connector stop and across the street from a Cincy RedBike station at the Public Library. 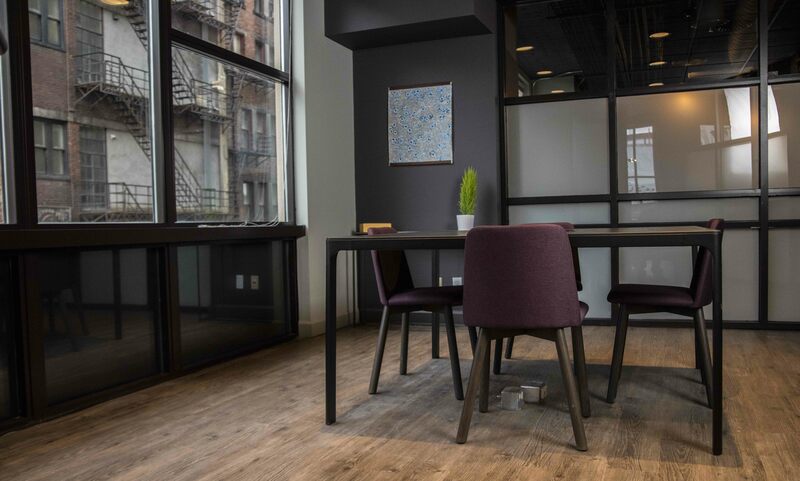 What sets 1628 apart from other coworking spaces is the quality of its amenities for members. These include five conference rooms, each equipped with Smart TV’s, speakerphones and iPads, secure Cincinnati Bell FiOptics in addition to quiet rooms, a kitchen and a media room for breaks. At capacity the space can hold anywhere between 40-50 people at one time and has flexible space for events. 1628 opened at the start of this year and interested parties can learn more about the space through their website.